This cute little guy is just a baby. Baby salamanders tend to look more alike than adult salamanders, so it wasn't clear to me what species this was when I first ran across it. 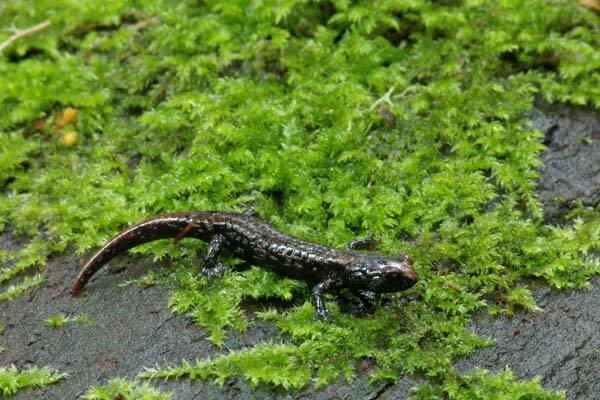 Later I learned that the brassy colored patch on the snout and tail is a giveaway that this is a baby Wandering Salamander. 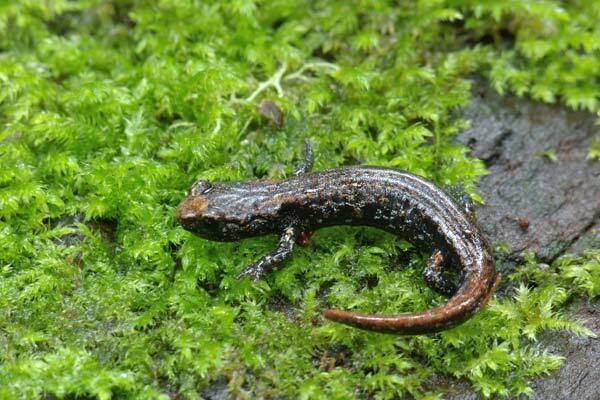 Wandering Salamanders weren't classified as a separate species until recently, so they don't appear in too many books yet. Formerly they were grouped with Clouded Salamanders (Aneides ferreus).